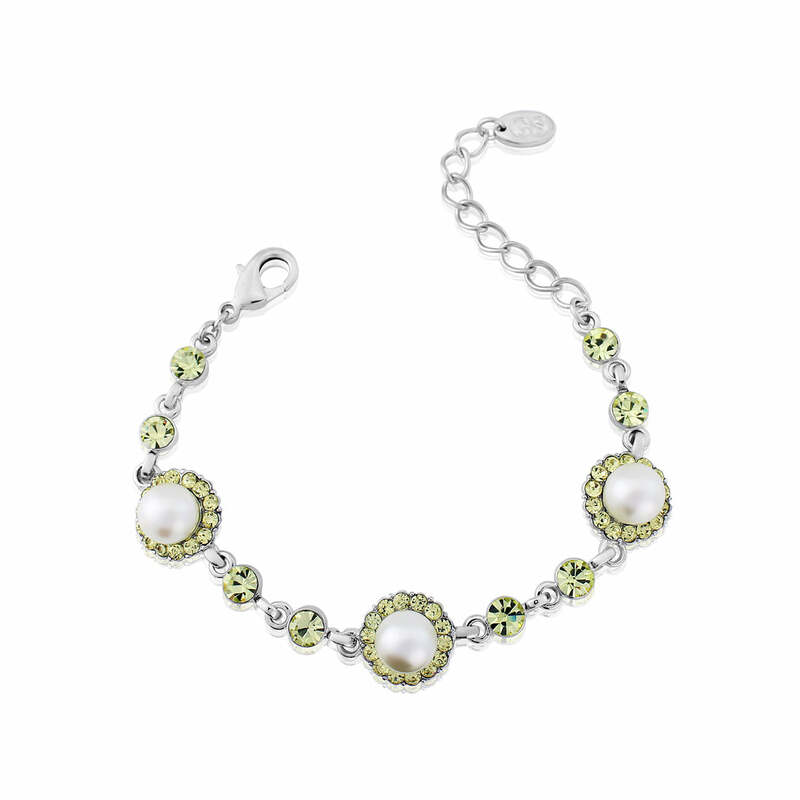 Full of vintage elegance, this beautiful pastel lemon pearl and crystal bracelet is full of timeless style. The perfect piece for a summer event or to accessorise your bridal party. A shimmering sensation of the most exquisite pastel shade, Lemon Dream Bracelet is simply magical. Three cream pearls encircled within a myriad of pale yellow crystals are linked by pale yellow stones set on silver tone links. A pretty ‘piece’ which beautifully combines a retro vibe with timeless elegance Lemon Dream is the perfect choice for all occasions. Add a touch of sparkle to a 1950s Sandra Dee full skirt or glitz up a floral dress for an outdoor Summer wedding. A stunning wedding bracelet for a sunny Spring wedding theme, fans of vintage costume jewellery will be amazed by our breath-taking collection of Lemon Dream accessories. Whether you are dressing up your maids dressed in yellow or you are complimenting a lemon bridal bouquet, these stunning ‘pieces’ will add glamour to your yester year style.